The Environmental Protection Agency (EPA) estimates that in the United States alone, manufacturing, chemical, and automotive plants account for more than 1.6 billion empty aerosol cans a year. That’s acres upon acres of cans that must be dealt with responsibly by all parties. Pressurized cans cannot simply be tossed in landfills without dire environmental consequences. 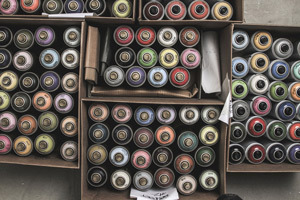 How to dispose of aerosol spray cans properly can be a challenge, but will save on valuable landfill space plus reduce hazardous waste from becoming an environmental problem for communities. The products are a combined mixture of propellant, liquefied gas, solvents, and the spray product contained under pressure. Even though a can may be empty it is still hazardous because the container is pressurized. Municipal landfills across the country are filled with these containers mixed in with common household trash. What makes aerosol different than normal trash? Why aerosol cans need to be disposed of properly is that, in general, they are capable of retaining either the liquids or compressed gas within them, which poses a risk to people and the environment. To be exempt from hazardous waste regulations aerosol cans should be handled by waste management professionals. Cans need to be depressurized and treated before they can be sent for scrap metal recycling. If you are an individual or household with a small number of cans to dispose of, there are almost always local means of dealing with aerosol cans properly. Check with your nearest municipal transfer center or garbage dump as they should hold periodic hazardous household waste pickups that you can bring common chemicals like paint, cleaning products, and aerosol cans to be properly disposed of. How to dispose of aerosol spray cans begins with generators recognizing the proper way to empty cans, or utilizing hazardous waste service lab packs to collect and dispose of the cans. Hazardous waste removal services can safely puncture aerosol cans to depressurize them. Once the cans have been depressurized, the waste handlers can remove the residual contents and, more importantly, filter out the volatile organic compound emissions in order to have the steel cans recycled as scrap metal. Industries, labs, institutions, hospitals, and companies seeking solutions to aerosol can disposal would be well served by contacting a waste management company to manage these small containers. Depending on how many cans need to be disposed of, as well as what other chemicals might be present, lab packs or a hazardous waste removal service can be a good option. A chemical audit can be helpful in determining the best method for easy handling, transportation, and easier disposal based on your individual situation. What constitutes an empty aerosol can? Before recycling or disposal, first, and most obviously, the generators must ensure that the aerosol can is empty. 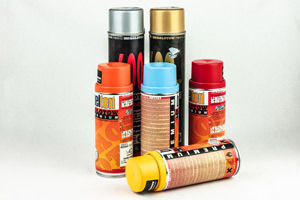 Following EPA guidelines, aerosol cans are defined as empty when all contents and wastes have been aspirated from the container either through use or puncturing. With cans that contain hazardous waste the air pressure must be at or approaching atmospheric level before disposal or recycling. Puncturing, shredding, or crushing aerosol cans should not be done in house. Besides the dangers posed by pressurized cans exploding, hazardous waste requires equipment designed to empty the cans to EPA regulations. Such equipment prevents the release of hazardous chemicals or air pollutants. In addition, aerosol cans that contained hazardous chemicals or pollutants are subject to hazardous waste treatment regulations. Therefore, aerosol cans holding an acute hazardous waste need to be disposed of as a hazardous waste. Because of the unique properties of aerosol cans, they cannot be prepared for proper disposal by triple-rinsing with solvents that can remove the hazardous chemical residue like other types of containers can. No matter if an aerosol can is to be readied for scrap metal or not, the hazardous waste residue in the can removed is still subject to hazardous waste regulations, which is another good reason to utilize lab packs for proper disposal of aerosol cans. Reducing aerosol can usage is an effective way to ensure that hazardous waste from the cans do not end up in landfills and posing environmental risks to people and communities. The EPA’s WasteWise program encourages companies, institutions, and businesses to achieve sustainability in their practices by reducing select industrial wastes, such as that from aerosol cans. Reducing usage of aerosol cans is an important first step, but how to dispose of aerosol cans properly is vital for everyone.